The Ultimate Guide To Tattooing In Singapore - FAMILIAR STRANGERS - Best Rated Tattoo Studio in Singapore - Quality Tattoos from a Singapore Tattoo Studio Singapore Tattoo, Familiar Strangers, Tattoos, Singapore, Best, Art, Tattoo, Studio, Shop, Parlor, Custom Design, Female, Tattoo Artist, Forum, Tattooist, Price, Cost. Tattoo Guide By FAMILIAR STRANGERS Tattoo Studio,Singapore. As of you may have already know, tattoos are created by inserting colored materials beneath the skins surface. The first tattoo was probably created by accident. Some caveman had a small wound on his skin, he stained the wound with soot from his bonfire. When the wound had healed, the stain stayed permanently and the world’s first tattoo was born. Researchers believe the English word TATTOO came from the tahitian word ‘tatau’ which means ‘to mark something’. Till date the oldest tattoo found is more than 5000 years old, in 1991, the frozen body of the 5300 year old “ Tyrolean Iceman” was discovered in the mountains near the Italian-Austrian border. 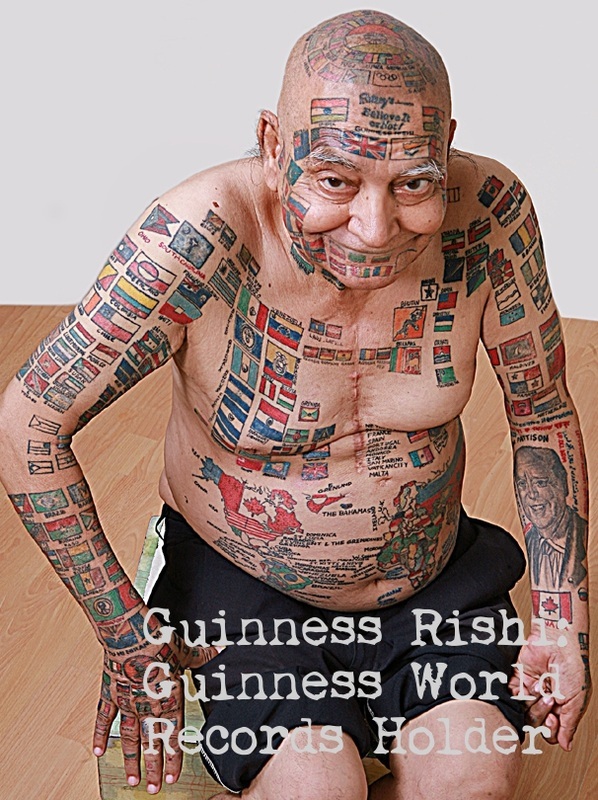 The Iceman had a total of 58 tattoos. Samuel O'Reilly of USA invented the Rotary Tattoo Machine in 1891 but these days most tattoo artist have switched to using Electromagnetic Coil Tattoo machines to tattoo their customers..
Japan- Japanese tattooing is found as early as 297 AD in Chinese dynastic historic records. The Japanese were interested in the art mostly for its decorative attributes. Today the Japanese tattoo artists are the undisputed masters creating the classic Japanese tattoo full body suit “Irezumi” using their traditional hand tapping method. Hawaii USA- The Hawaiians have their traditional tattoo art known as ‘Kakau’. The Kakau is used to guard the wearers health and spiritual well-being.intricate patterns, mimicking woven reeds or other natural forms, graced men's arms, legs, torso and face. New Zealand- The Maori people of New Zealand also have their traditional tattoo art called ‘Moko’. The Moko was a mark of distinction, which communicated their status, lines of descent and tribal affiliations. It symbolized the wearer's exploits in war and other great events of their life. Sarawak Malaysia- The Iban tribe people of Sarawak Malaysia have their traditional tattoo art known as ‘Iban Tattoo’ or ‘Borneo Tattoo’. This tattoos symbolized the wearer belonged to or the status the wearer enjoyed within the community, as a general rule, both men and women could adorn their bodies with artistic and, more often than not, symbolic designs. In the past, a Iban man without tattoos was considered sissy and cowardly. Most Tattoo Artists in Singapore are using the Electromagnetic Coil Tattoo machines similar to the attached photo to tattoo their customers. These Tattoo machines work by puncturing needles into the skin at a very fast rate. The Tattoo machine pushes the needles which hold ink in and out of the skin at a rate of up to 3,000 times per minute, the tattoo needles then inserts a small drop of ink about 1mm - 2.5mm below the surface of the skin each time leaving a permanent mark. Tattooing with a tattoo machine is known in the Tattoo Industry as 'Electric Tattooing'. Pros of having Tattoos. Tattoos now are more common than ever, in North America 1 in every 7 person are tattooed and in Singapore it is known in the Tattoo industry that almost 20% of the population are tattooed. Tattoos give people a chance to stand out from the crowd and broadcast who they really are. Men and women alike have tattoos, some even covering their entire body. Many people who get tattoos get them for the symbolic meaning to remind them of certain point in their life. Cons of having Tattoos. It is pretty straight forward. Tattoos work by piercing the skin with a needle and injecting tattoo ink. With that being said the risk of infection when getting a tattoo is always there. If the tattoo artist isn’t sanitary and doesn’t clean his equipment after every use, the risk of infection will be much higher. So Anybody getting a tattoo must do it in Good Tattoo Shops / Studios that have the highest standard of Hygiene, Service, Skills & Reputation. If later in life you don’t want the tattoo, you’ll have to pay an expensive price to have it surgically removed. Surgery carries risks and complications as well. No matter how you look at it, there will always be both pros and cons with tattoos. Before you decide to get a tattoo, you should make sure that the design you have picked out is something that you will love for the rest of your life and you will never regret tattooing it.. If there is any doubt in your mind about the tattoo, you shouldn’t get it. Even though it may seem cool at the time – the price for removal and the complications with surgery is certainly not worth it. For tattoo designs, please log on to our Free Tattoo Designs page. Too many times people end up regretting the tattoo they got. Most of the time, this is because they failed to choose a Good Tattoo Shop / Studio or they didn't take the time to think about what tattoo designs they were getting. (1) Trying to save money on Tattooing. Most people with ugly tattoos had chosen the cheapest tattoo shop / studio or tattoo artists to tattoo for them. But they never wonder why their tattoo is that cheap before jumping in to get their tattoos done. Let’s put it this way, if you are a University Graduated, are you willing to work a job that pay 5 dollars a hour ??? The fact is cheap tattoo artists are either not qualified, lack of artistic talents, using substandard tattooing equipment, new to tattooing or trying to earn a living by producing large quantity of low quality tattoos at the shortest amount of time..
- If you want a nice tattoo be prepared to pay more for a Good Tattoo Artist.. The rule of the thumb is in Singapore a Good Tattoo Artist will cost at least 100 dollar per hour of tattooing..
(2) Lazy to do research on the Tattoos Shops / Studios available. Many first-timers will get tattooed in the Tattoos Shops / Studios nearest to them, only to be informed by their peers days later they have been tattooed by the worst tattoo artist in the country.. A tattoo is unlike any other stuff you buy as it will be stuck onto you permanently even when you hate it..
- If you want Good Tattoo Artists to tattoo you, you have to put it extra effort to look for them. Ask around for the Best Tattoo Shops / Studios in town, search online for examples of the Tattoo Artist’s actual works or visit a few Tattoo Shops / Studios before deciding on the one you should tattooed in..
- There are 4 main factors in finding a Good Tattoo Shops / Studios : Hygiene, Service, Reputation & Skills. The level of hygiene in the tattoo shop and the habits of the artists are the most important aspects of getting a tattoo. During tattooing brand new tattoo needles and ink caps must be used. A Electric UV Sterilizer or Autoclave must be used for sterilizing tools and equipment before tattooing. As unsterilized tattoo equipment and used needles can transmit infectious diseases such as hepatitis. The Service level of the Tattoo Shop / Studio is important too. If the artists in the Tattoo Shop / Studio are rude, pushy or impatient towards you, just walk out and never look back as high chance they will rush through and screw up your tattoo. Only visit Tattoo Shop / Studio with a good Reputation or reviews as any tattoo shop / studio that screwed up before may screw you also.. Lastly is Skills. If you saw any samples of Tattoo Shops / Studios that are ugly never ever tattoo there as you may end up as another ugly sample of theirs.. If you want a Good Tattoo you have to know how it should look like.. Go to Borders or Kinokuniya bookstore buy some Tattoo Magazines to see and learn what is a Good Tattoo ! To avoid making the wrong decision in Tattoo Design. A. You must decide on your design before going to the Tattoo Shop / Studio. B. Don’t just choose a design that you like, choose a design that has meaning to you also. C. Never go on with another person advises. Choose only that design recommended by your HEART. D. You should include your passion, emotions as well your skills in your tattoo design. Because if you include them you will have less chance of regretting your tattoo in the future. For instance, if you have passion about rock music then tattooing a electric guitar will work for you. (1) Cover-Ups. Camouflaging an unwanted tattoo with a New Tattoo is know in the Tattoo Industry as Cover-Ups. You should only get The Very Best Tattoo Artist to do a Cover-Up for you as this procedure is very Technically Challenged. Cover-Ups is actually the cheapest and fastest method of removing a unwanted tattoo. The Tattoo Artist will either incorporate the unwanted tattoo into a New Tattoo or completely go over the unwanted tattoo with a New Tattoo. Usually the customers don’t get to choose the design, colour or size of the New Tattoo. As the Tattoo Artist will need to use the same or darker colour New Tattoo to go over the unwanted tattoo and the New Tattoo needs to be bigger than the unwanted tattoo to totally ‘cover’ it. Sometimes the Tattoo Artist may require the customer to fade a few shades off the unwanted tattoo before the Cover-Up can be carried out..
(2) Tattoo Fading Creams. There is numerous brands of tattoo fading cream in the market these days and you can purchase them online easily. It will take months even years of applying any tattoo fading cream to fade away the unwanted tattoo substantially. Most people will give up applying their tattoo fading cream after few weeks when they saw their tattoo didn’t fade much away thus wasting their hard earned money..
(3) Whitening Cream. It is known in the tattoo industry that the Whitening Creams used by the ladies to lighten their skin tone when accidentally applied to their tattoo will cause the tattoo’s colour to fade. If you have any Whitening Creams laying around you can apply them to your unwanted tattoos to fade it but it will take months even years of applying to fade away the unwanted tattoo substantially. Anyway, you can always apply Whitening Creams to your unwanted tattoos for a few months to fade a few shades away then get a Cover-Up done. By doing so the Tattoo Artist will have a easier job of doing your Cover-Up and you may get a lower price quote from the Tattoo Artist for your Cover-Up. (4) Sunlight. It is also known in the tattoo industry that the UV Light from the Sun will cause tattoos to fade. Many Australian Surfers have to re-colour their tattoos every year as the sunlight in Australia’s coasts is super strong. Their solid black tattoos will fade to light grey colour , red colour tattoos will fade to pink etc.. So if you are a regular beach comber or surfer in a sunny country you can be assured that your unwanted tattoos will fade in 1 - 2 years time. Till then you can get a cover-up done easily. But please don’t purposely go sunbathe in attempt to fade your unwanted tatttos as over-exposure to the sun will cause skin cancer.. The below methods Must be Carried Out by a Qualified Doctor. (5) Abrasion. It involves abrading layers of skin with a surgical wire brush or diamond sanding disc. This process may leave a scar. (6) Scarification. It involves removing the tattoo with an acid solution, most of the time TCA acids is used. This process also need several visits to the doctor are over period of months. It can be painful and leave a scar. (7) Surgical. Surgical Tattoo Removal most of the time involves the using surgical balloons inserted under the skin to expand the skin then cutting away the area of skin containing the tattoo. Larger tattoos may require repeated surgery for complete removal. (8) Laser. This treatment can remove tattoos totally more easily and effectively than others. Generally, several visits are necessary over period of months. Some people experience hypopigmentation which is a lightening of the natural skin coloring at the lasered area and laser treatment may leave a scar. (1) After the tattooing process is complete the tattoo area should be cleaned completely with Green Soap / Dettol mixture and then paper dried thoroughly. This should be followed up with a heavy coat of Bacitracin Ointment / Triple Antibiotic Ointment / Vaseline. At this time, the tattoo artist must cover the tattoo area with appropriate padding / plastic wrap and have to tape it down. * The purpose of the dressing firstly is to protect the new tattoo from filth, bacteria and other infectious matter that may come into contact with the freshly done tattoo. Secondly, a freshly done tattoo will seep small amount of blood and lymph fluid for about 3-5 hours, with a dressing on it does not dry up and turning into a scab. (2) After washing and cleaning apply a very thin layer of any of the below items to the tattooed area every 4-12 hours till the tattooed area stop swelling and dried up in 2-3 days time. One should always do a batch test by applying a small amount of the below items on a small area of the tattooed area for at least 15 minutes. If allergic reactions appeared immediately stop applying them, wash the tattooed area clean and contact your tattoo artist for further instructions. Please note that by keeping the tattooed area moist will prevent the colours of the tattoo from running and reduce itchiness. (5) When the tattoo heals completely after 28days if any imperfections appeared contact your tattoo artist as soon as possible for a touch-up session. (6) At any point of time during the healing period one should always consult his / her tattoo artist or doctor should there be any problem with the tattoo. Not asking their friends or newbies to tattooing etc to avoid injuries or damaging the tattoo.